But we don't blame them. Nothing is more viscerally frustrating than being locked out of your own home. On the other side of that thin wood slab is your personal womb, the only place you feel completely safe, normal, yourself, that contains all that is you and yours. All that prevents you from entering is a slim cylinder of metal. After a long day of fighting with the world, you just want to escape. But you frantically — and increasingly violently — try and turn the key, perhaps kick the door, and swear as your soul swells with the sinking sense that you are without access to your fortress of refuge. This is why getting the right lock for your front door is perhaps the most important security decision you will make – not only do you want to be sure to keep you and your home safe, you want to make sure you can get in. But is a smart lock your best solution? After a recent series of cascading unfortunate events, for me the answer is "no." Before we continue further, a caveat. I do not believe my recent smart lock experience, which follows below, is systemic, nor is it intended as an indictment of the entire smart lock product segment. Just because your new home was built on top of a cemetery from which the developers failed to remove the bodies does not mean you'll be haunted and attacked by poltergeists of the dearly departed. Instead, I present the following merely as a cautionary tale, followed by suggestions on how to make sure you and yours get the most out of your smart lock, because there is a lot to get out of it. For nearly three years, our primary front door lock on our uptown New York City apartment has been the Kevo smart lock, made by Kwikset, the first smart lock to hit the market in fall 2013. Kevo had, and has, two primary selling points: One, the cylinder locked and unlocked simply by touching it with your finger – Kevo communicates with a smartphone app to authenticate the toucher – without the app needing to be open on your smartphone. Two, Kevo could be opened with a standard key. Like all smart locks that followed Kevo, you can email timed or limited-entry virtual Kevo keys to other people (guests, trusted workers) so they can get in without a key, as well as track everyone's entries and exits, among many of its other smart attributes. Earlier this year, the company started selling the Kevo Plus ($99), which lets you remotely lock and unlock the device. But even though I've enthusiastically written about the Kevo, and became a fan, something nagged at me from the start about the whole idea of a smart lock. While Kevo offered a secondary mode of entry — a physical key — most smart locks relied on the never 100 percent reliability of a wireless connection. We are all familiar with how often NFC, Bluetooth or Wi-Fi connections fail to connect as designed. For pairing Bluetooth headphones, making a mobile payment or even buffering while watching Netflix, an occasional wireless non-connection is annoying, but not critical. Relying on this unreliable wireless connection for a front door lock seemed to me, then and now, to be asking for trouble. 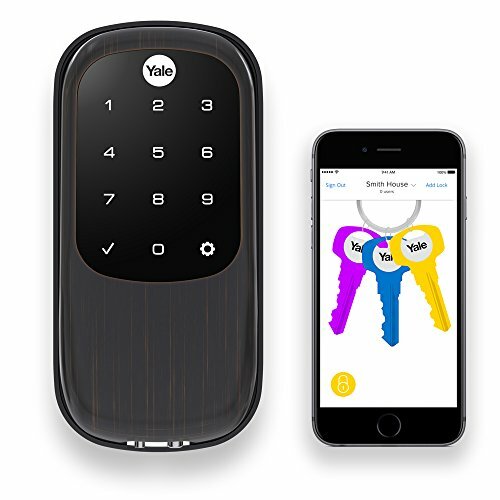 This wireless uncertainty is why most of the major smart lock makers, both entrepreneurial such as August, and established such as Kwikset, Schlage and Yale, are adding or designing smart locks with alternative physical entry methods such as a numerical keypad. In addition, all smart locks run on batteries, raising the specter of arriving home to find a powerless lock. Most smart lock makers are pretty good about warning you of a low power situation, giving you plenty of time to replace the batteries. But merely the fact that you now have to worry about power for a front door lock is concerning. Thankfully, the Kevo is made by Kwikset, an actual, well-known lock maker. And since there is nothing more sure-fire than slipping in a key to open a door, the Kevo has always seemed to me to be the best of the smart lock bunch. For reasons that remain hazy to me, my wife nearly immediately encountered problems with Kevo's touch-to-open capabilities. Kevo was always a bit persnickety in terms of operational proximity, even for me. I'd often have to tap it twice or even three times, each time slightly shifting my position, to open or lock it — and even with these multiple attempts, I still found the touching easier (and more fun) than digging for my keys. However, my wife could not consistently get the lock to open by touching the Kevo. Finally, she simply ignored Kevo's smart operation and just deployed her key as if the Kevo was a standard dumb lock. Not a big deal, since I continued to use the Kevo as designed. However, soon after installing the Kevo Plus for remote access, the Kevo stopped locking when I touched it when leaving the apartment (Kevo does not offer an auto-lock-behind-you feature as many smart locks do). There soon after, the Kevo started to stick when opened with a key – often hitting a snag midway through the opening turn. My wife complained, worried she'd be locked out, especially while I was overseas covering IFA in Berlin earlier this month. I told her a new Kevo 2 was coming, and that I'd install it as soon as I received it. Completely unrelated from allinsta this, my wife just got a new iPhone 6s, which had to be upgraded to iOS 10 before it could be added to my T-Mobile account. But since she didn't use the Kevo as a smart lock, I didn't consider this to be an issue. In Manhattan rush hour traffic, I spent an hour trying to get to our apartment. I found my wife sitting outside the door, far more sanguine than I would have been. Using my key, I managed to power through the Kevo's sticking point and get the door open. But the psychic damage had been done. One thing you need never be worried about, to have even the thinnest sliver of doubt buried in some deep recess of your unconsciousness, is the possibility that you won't be able to get into your own home. While rushing home, I had called a locksmith, who arrived 15 minutes after I got home. Even though I'd managed to get the door open, and even though I had the Kevo 2 ready to install, I enthusiastically had the locksmith replace the balky Kevo 1 with a good old reliable key-only Medeco. Neither I nor my wife want to use another smart lock. As the old saying goes: Fool me once, shame on you. Fool me twice, shame on me. As noted, this tale of smart lock woe is not intended to be a blanket condemnation of smart locks and definitely not of Kevo. I'd lay odds that the all-metal Kevo 2 would perform more reliably for a longer period than the first-generation Kevo. Kwikset is simply too good a lock maker for this set of lightning bolts to strike twice on the same door. But would I bet my home security piece-of-mind on it? I cannot and will not install another smart lock on my apartment's only means of entry. But my bizarre experience should not necessarily dissuade you – merely arm you. 1. Make sure your smart lock comes from a well-respected, well-known lock maker. 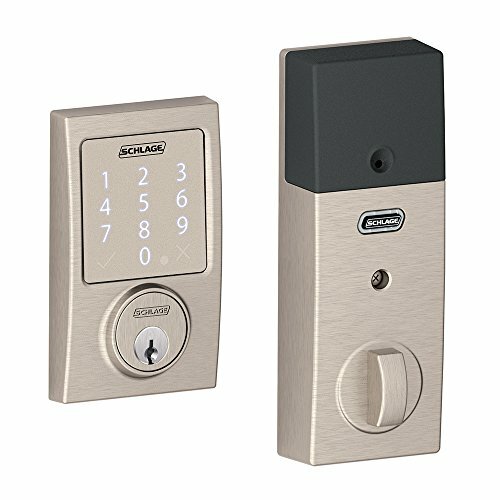 Other than Kevo by Kwikset, there's the Schlage Sense Smart Deadbolt ($229), which includes not two but four operational options: Bluetooth, a physical key, an illuminated numeric touchscreen keypad, or Siri voice command via Apple's HomeKit. Yale announced two smart lock models nearly a year ago: the entry level Linus (price not yet announced), which will work via Wi-Fi and will be Works with Nest compatible, which is equipped with a touchscreen touchpad as a second entry mode, and the step-up Yale Assure ($199.99), which includes both Wi-Fi and Bluetooth and a touchscreen keypad. Yale Assure is coming out in October, and Linus is due sometime next year. 2. Make sure the smart lock includes a secondary, physical mode of entry — a key, a keypad, a fingerprint reader. 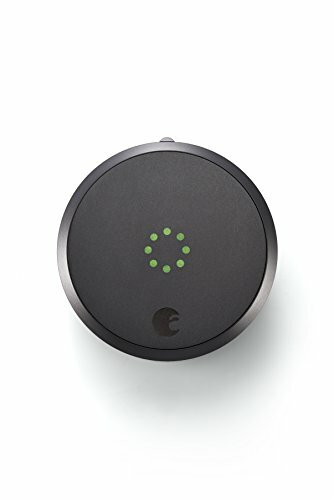 The second-gen August Smart Lock HomeKit ($199) also is HomeKit compatible and also can unlock via Bluetooth, Siri, via the matching two-column Smart Keypad ($79), or remotely via the external August Connect ($79). 3. Make sure you have a second door with a standard lock you can enter through in an emergency. In other words, if you live in an apartment with a single door, I'd think twice about an app-open-only smart lock. 4. Make sure everyone in your family is familiar and comfortable with the workings of the smart lock. If you have only one door, use two locks on your front door, and use the smart lock only when everyone knows how the device works are ready to use it. If you're interested in the Kevo 2 and you're an iPhone owner, wait for them to fix their iOS 10 problems. And if you're interested in any smart lock — well, caveat emptor. If you need help installing any smart locks,you can visit HomeAdvisor.com to find a local trusted professional.